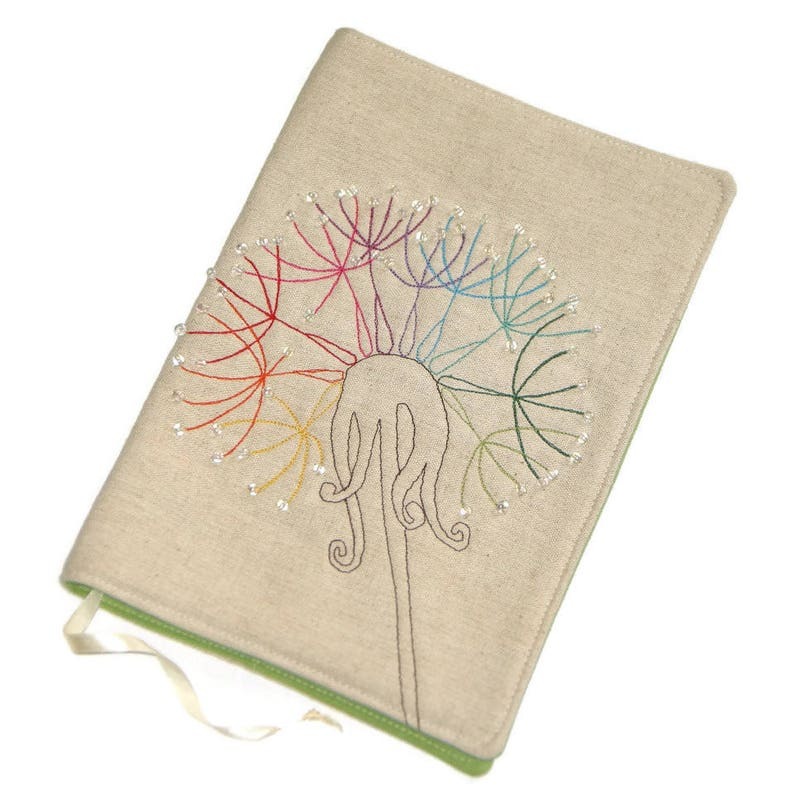 Handmade fabric book cover with embroidered colorful dandelion in rainbow colors and lots of glass beads made entirely of high quality fabrics. It’s fully lined with a blue cotton fabric. This handmade journal cover is fully lined with a green cotton fabric and has a bookmark made of satin ribbon and bead. It‘s lightly padded for structure and durability and it's reusable from book to book. Machine washable at 86 F (30 C) degrees with no spin. Lay flat to dry. Do not machine dry.